◎ On March 19, the 13th National People’s Congress elected new vice premiers, state councilors, ministers, committee heads, and key central bank appointees. 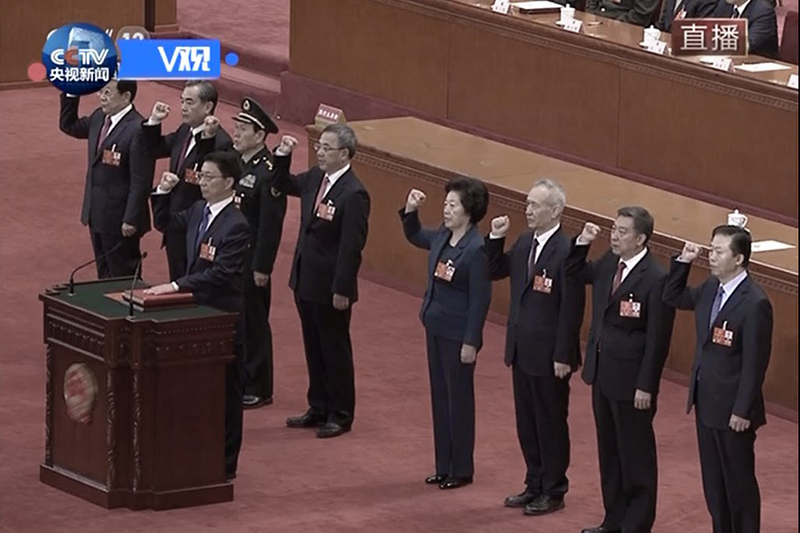 On March 19, the 13th National People’s Congress elected new vice premiers, state councilors, ministers, committee heads, and key central bank appointees. We correctly picked four of the five state councilors (80 percent accuracy), as well as 18 of the 26 ministers (69 percent accuracy). Yi Gang, the former vice president of the People’s Bank of China and director of the State Administration of Foreign Exchange, replaced Zhou Xiaochuan as central bank chief. We identified Yi as one of four possible candidates for the job in October 2017. 1. Economic and financial matters are downstream from elite CCP politics. And elite CCP politics is shaped by a factional struggle (neidou) between Xi Jinping and factional rivals. SinoInsider can decode China’s political black box because we know the core issue driving the factional struggle and elite CCP politics. Our accurate prediction of personnel movement at the Two Sessions and the 19th Party Congress shows that we have a pulse on elite CCP politics and China’s future directions. 2. The political rules have changed under Xi Jinping, and Sino-U.S. relations have become more complex under the Trump administration. Traditional political and geopolitical risk assessment models may be insufficient for decision-makers in the Xi era. 3. SinoInsider’s unique research methodology allows us to forecast personnel movement and political risk with a high degree of accuracy. Piercing the political “fog of war” in China can be very helpful to businesses who are looking to avoid costly pitfalls (like Microsoft). 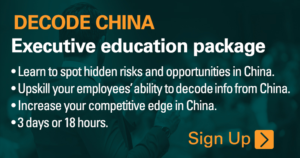 Companies with businesses in China or firms looking to invest can sidestep risks and discover hidden opportunities with our political situation advisory services.